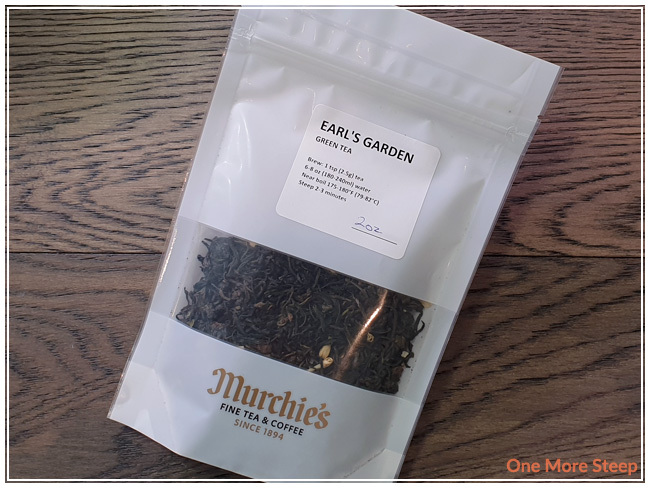 Murchie’s has provided me with Earl’s Garden for the purposes of providing an honest review. I was very excited and eager to try this tea when I opened my package from Murchie’s. Any tea name with the word “Earl” in the title makes me think of Earl Grey – which is a lovely classic black tea blend that I love and also have really high standards for. Earl’s Garden came in a plastic sealed, resealable bag with some information on the front of it. The label calls it a green tea, but there were was clearly some oolong in that blend there – along with some jasmine. Which basically made me think that I’m in for a real treat! The first thing I noticed is the strong aroma of the jasmine and a hint of citrus from the bergamot. The green tea and oolong tea are both present, I’d hazard a guess that it’s maybe a 50-50 blend (or possibly just leaning a bit more towards the green tea). Earl’s Garden consists of: Chinese green tea, oolong tea, natural and artificial flavouring, jasmine flowers, and bergamot oil. Murchie’s recommends steeping Earl’s Garden in 175-180°F (79-82°C) water for 2 to 3 minutes. My initial steep was in 175°F water for 2 minutes. Earl’s Garden steeps to a beautiful golden yellow with a very fragrant floral aroma from the tea itself. I found that the flavour of jasmine is the most obvious, followed by the floral and creamy notes from the green and oolong tea base. There’s a light hint of citrus notes in the background of the tea, which is strong enough for me to know that it is bergamot. It does remind me of being in garden, because the jasmine is very present. I resteeped Earl’s Garden twice, adding an additional 30 seconds for each steep. 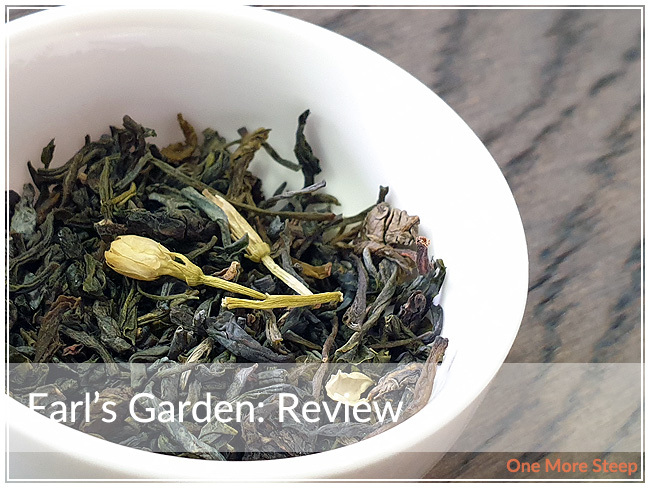 On the first resteep, I noticed that the jasmine flavour was considerably less, along with the bergamot and both flavours were virtually gone by the second resteep. 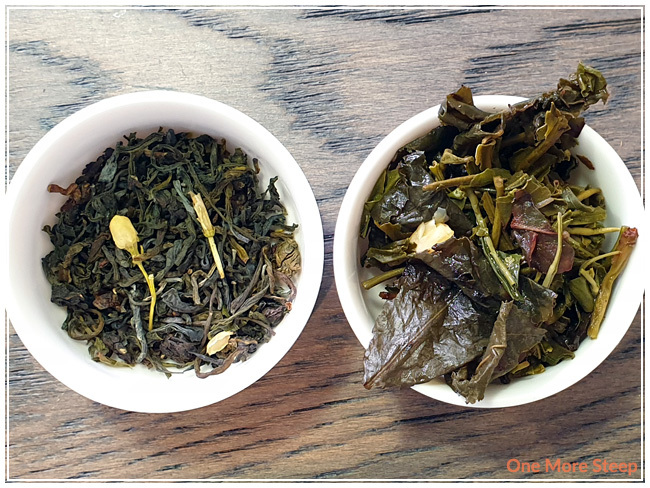 The base teas – green tea and oolong tea – do resteep quite well. There’s still that natural floral and creamy flavours that I noticed in the initial steep that are very much present throughout each steep. If you’re a fan of the jasmine and bergamot, I would do at least one more steep. 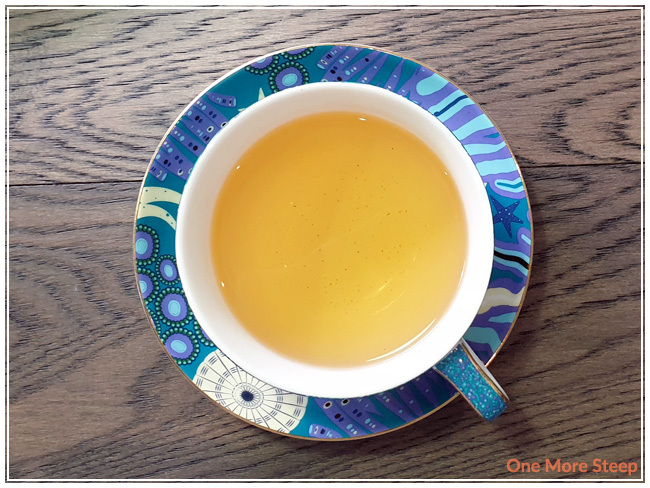 If you’re a fan of the green tea and oolong base, continue steeping until you exhaust the flavours. I loved Murchie’s Earl’s Garden. I think it’s a clever spin on a popular classic. While I had initially hoped that the bergamot would have been added in with a heavier hand, I found it to be quite pleasant. 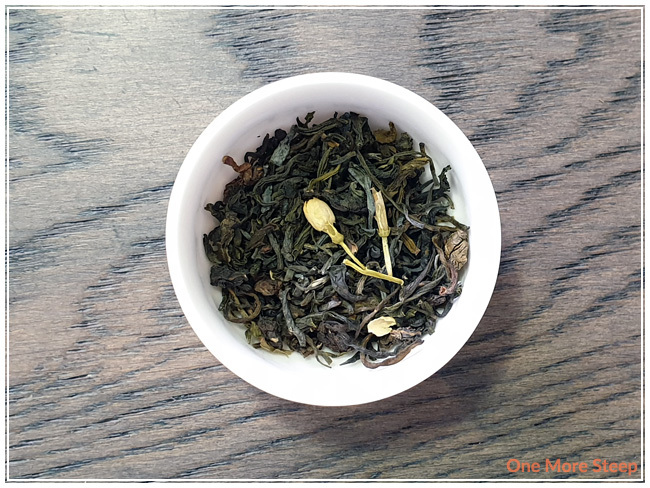 Present in the flavour profile, but not overpowering the flavours of the green tea, oolong tea, or the jasmine flowers. I think that the tea was very well balanced between each ingredient, and found that the flavour to very pleasant. I never once found that the tea was overly perfumed with the floral notes, which is always a risk when using any sort of floral ingredient. This tea definitely feels a bit delicate tasting though, and would be a lovely tea option to have with a spring or summer tea party.